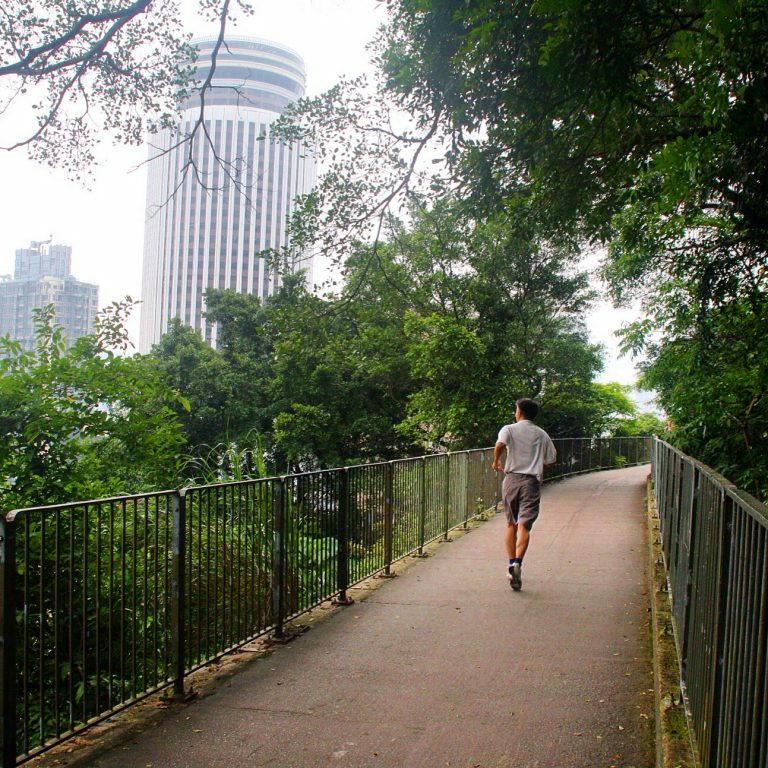 One of the most popular routes for HK road runners or power walkers. It’s a flat 8km out and back, toilets and water fountain half way along at the pagoda. To get there a good idea is to put your bags in Hong Kong Park Sports Centre at the base of the Peak Tram – free lockers, water and showers (HKID needed) then head up the stairs until you reach bowen road. See path on left (open in new window for size). People will be there working out from morning or evening, very friendly great place to run. Alternativly you can stop at the far end of Bowen rd and get a bus or taxi into Causeway Bay.or upto The Peak.